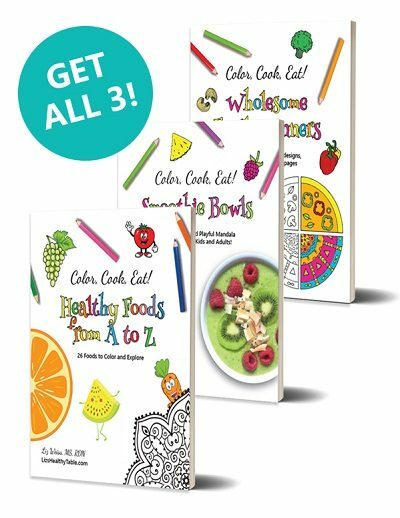 Buy all three books in the Color, Cook, Eat! 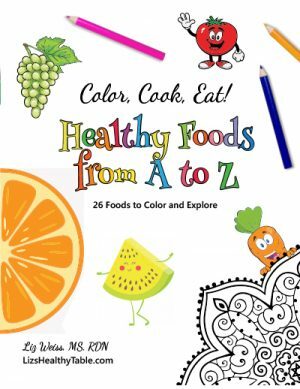 coloring book series at a delicious discount and enjoy hours of family time together cooking, coloring, and exploring the delicious world of good nutrition. Together, you’ll receive 20 wholesome recipes, over 50 food-themed coloring pages, 5 activity pages, including a farmers’ market scavenger hunt, and a whole new way to inspire your children to eat a rainbow of healthy foods. Smoothie bowls are a popular trend and so is coloring. Now the two trends have come together in one gorgeous coloring cookbook. 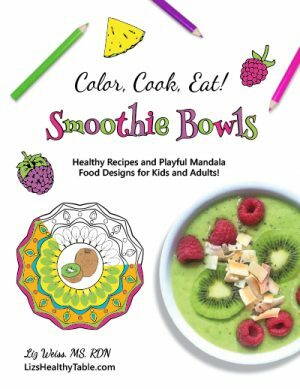 In this 33-page download, you'll find 10 delicious and nutritious smoothie bowl recipes, 10 beautiful mandala-style coloring pages, and 5 bonus coloring pages featuring a medley of healthy foods. Boost the good nutrition of breakfast and snacks with recipes like Gorgeous Green Smoothie Bowl, Wild Blueberry Blast Smoothie Bowl, and Peanut Butter & Jelly Smoothie Bowl, and have fun and creative family time along the way! 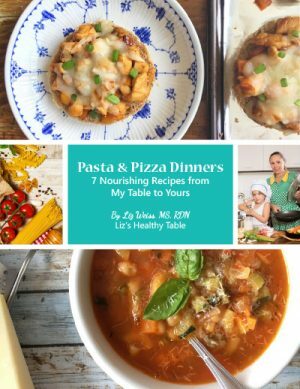 If you're looking for healthy dinnertime inspiration and you want your kids by your side as you cook, then this is the book for you. 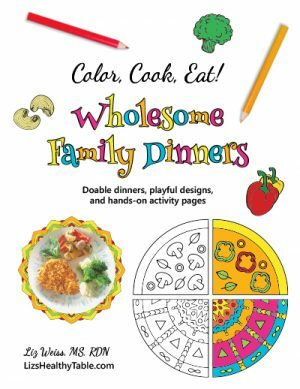 In this 31-page download, you'll find 10 wholesome dinner recipes, 10 adorable food-themed coloring pages, and 5 bonus activity pages, including a farmers' market scavenger hunt and a foodie word search. With classic dinner recipes like Garden Turkey Meatballs, Mini Cheeseburger Pizza Pies, and Veggie Quiche Patties, good nutrition has never tasted this good or been this much fun.